Sylvia Williams holds keeps a little dog warm as a golden retriever greets him Tuesday at Pride and Groom. 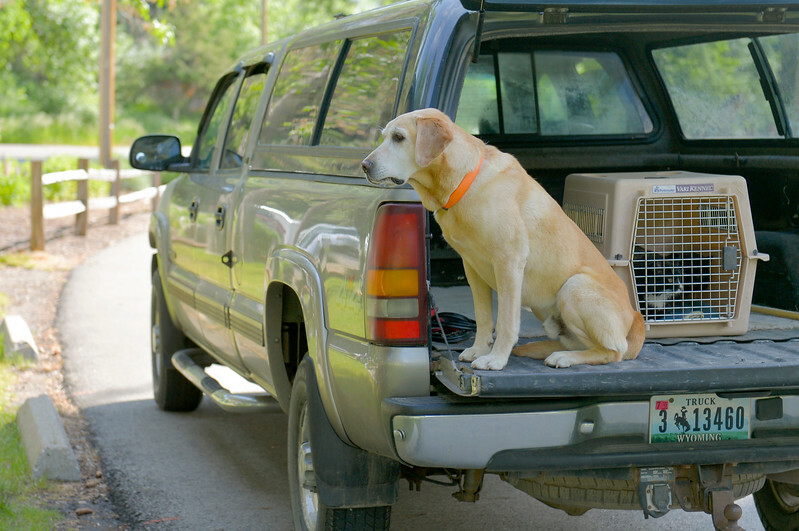 A dog waits in the back of a truck as its owner signs registration during the Sheridan Dog and Cat Shelter’s annual rabies clinic Tuesday at Kendrick Park. The annual rabies clinic will take place in Kendrick Park June 6-10 from 8 a.m. to 1 p.m. Shots will be given by a veterinarian and cost $10 per animal. 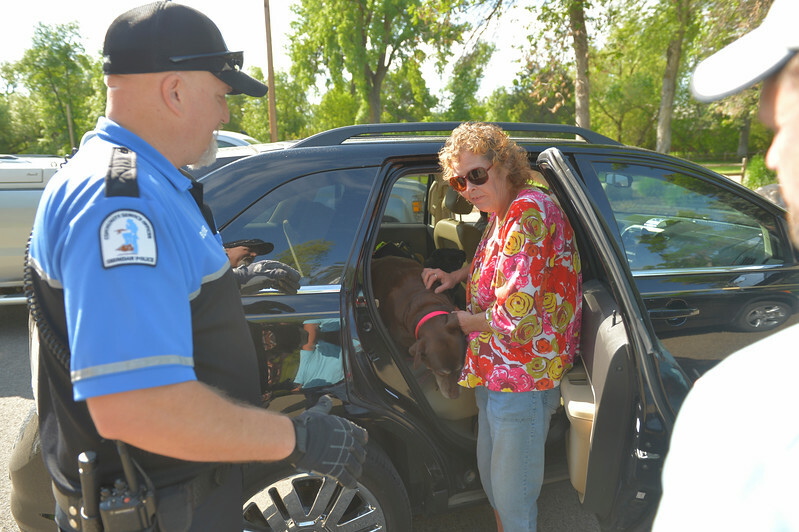 Shannon Dahl pulls her chocolate lab from her car for a vaccination during the Sheridan Dog and Cat Shelter’s annual rabies clinic Tuesday at Kendrick Park. The annual rabies clinic will take place in Kendrick Park June 6-10 from 8 a.m. to 1 p.m. Shots will be given by a veterinarian and cost $10 per animal. 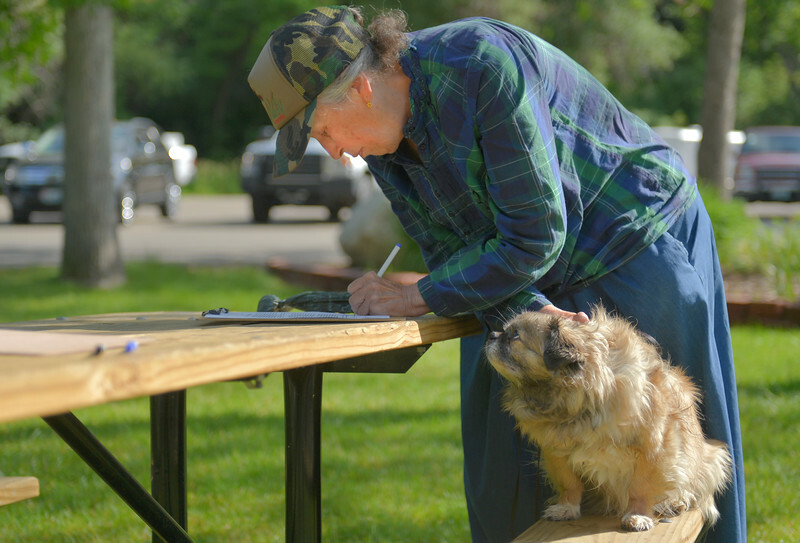 Zorro, a Tibetan Spaniel, looks at his owner Susan Love as she signs a waiver for a vaccination during the Sheridan Dog and Cat Shelter’s annual rabies clinic Tuesday at Kendrick Park. The annual rabies clinic will take place in Kendrick Park June 6-10 from 8 a.m. to 1 p.m. Shots will be given by a veterinarian and cost $10 per animal. 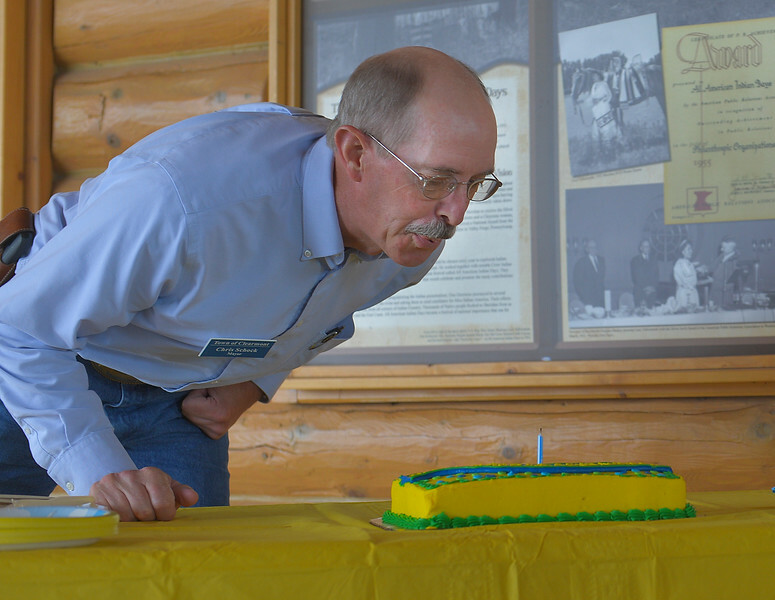 Town of Clearmont Mayor Chris Schock blows out a birthday cake candle in celebration of Clearmont’s 125 year anniversary during Tidbit Tuesday at the Sheridan County Museum. Schock gave a presentation on the town’s history during the event. Clearmont is hosting an all-day celebration this Saturday. 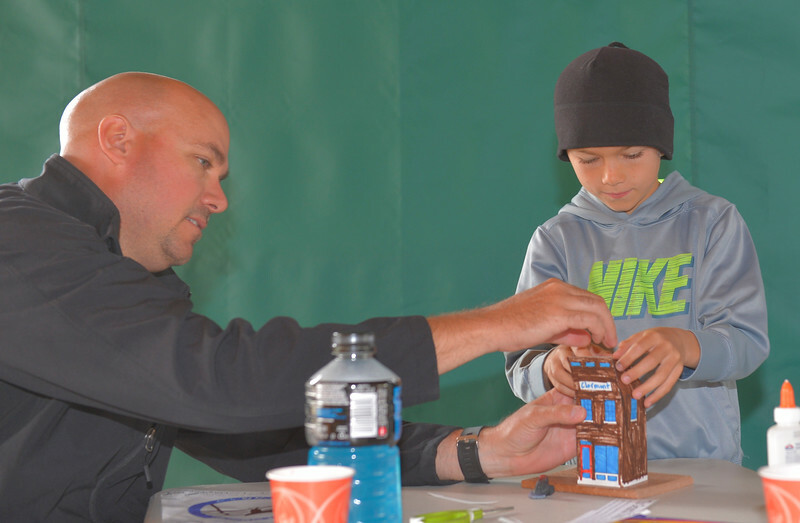 Brent Moore helps his son Grayson Moore, 8, with a craft activity representing a general story in celebration of the town of Clearmont’s 125 year anniversary during Tidbit Tuesday at the Sheridan County Museum. Town Clearmont Mayor Chris Schock gave a presentation on the town’s history during the event. Clearmont is hosting an all-day celebration this Saturday. 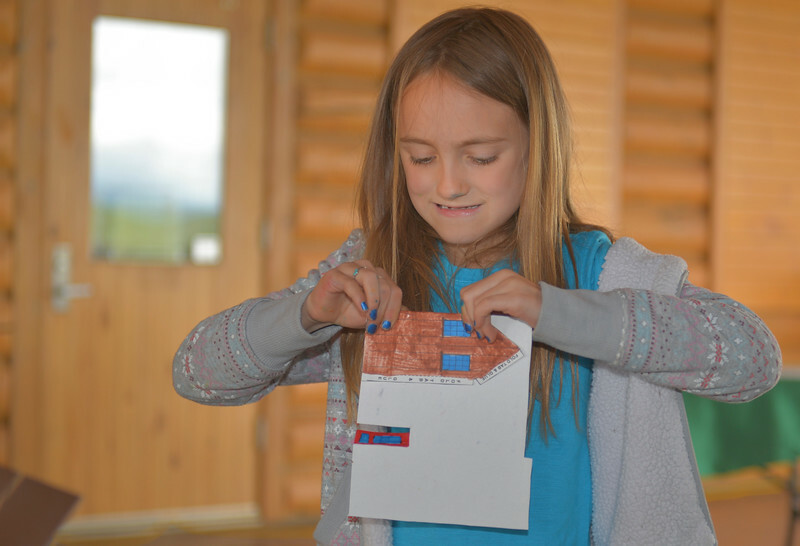 Nine-year-old Clare Fedy folds a paper general story in celebration of the town of Clearmont’s 125 year anniversary during Tidbit Tuesday at the Sheridan County Museum. Town Clearmont Mayor Chris Schock gave a presentation on the town’s history during the event. Clearmont is hosting an all-day celebration this Saturday. 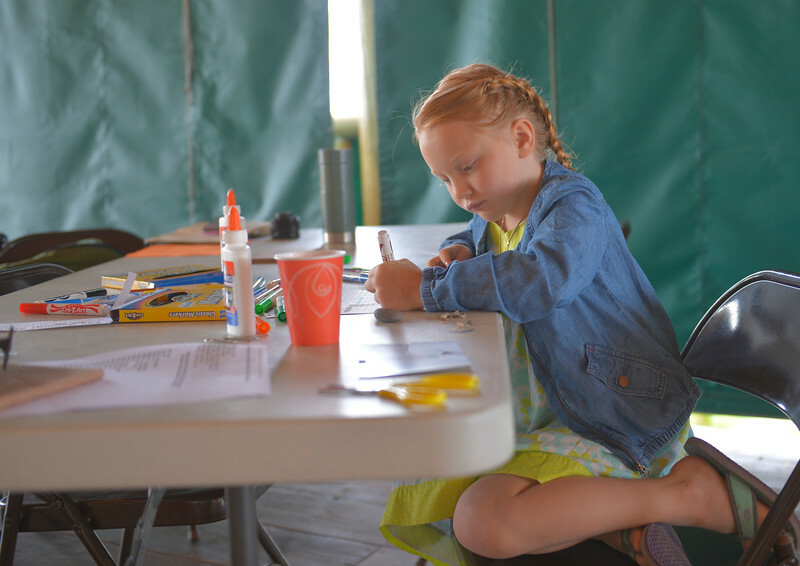 Six-year-old Harper Fedy colors a paper general story in celebration of the town of Clearmont’s 125 year anniversary during Tidbit Tuesday at the Sheridan County Museum. Town Clearmont Mayor Chris Schock gave a presentation on the town’s history during the event. Clearmont is hosting an all-day celebration this Saturday. 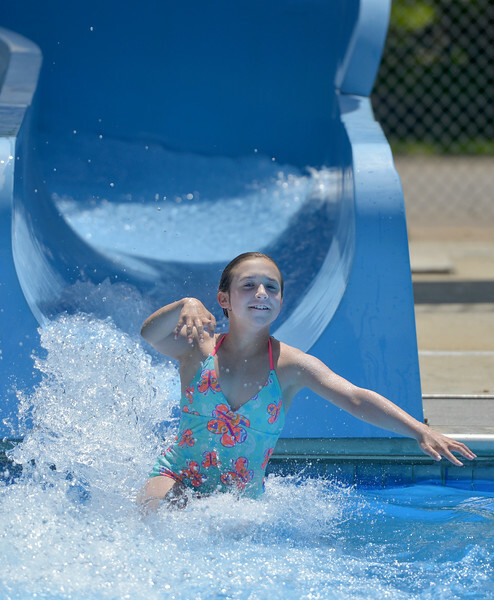 Eleven-year-old Hayley Curtis splashes out of the waterslide Wednesday at Kendrick Pool. The pool is open 1 - 7 p.m. daily, Sunday admission is only $1. The pool closes for the season August 26. 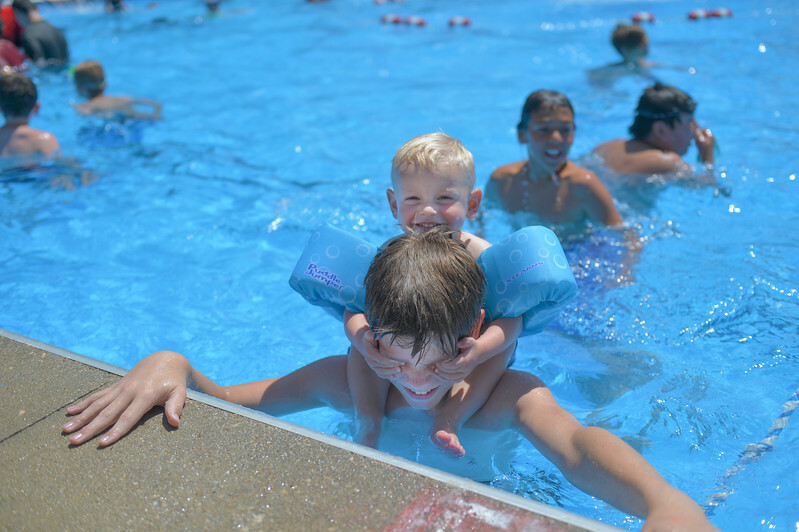 Thirteen-year-old Peyten Wilson plays with his cousin Kyler Drell, 2, Wednesday at Kendrick Pool. The pool is open 1 - 7 p.m. daily, Sunday admission is only $1. The pool closes for the season August 26. 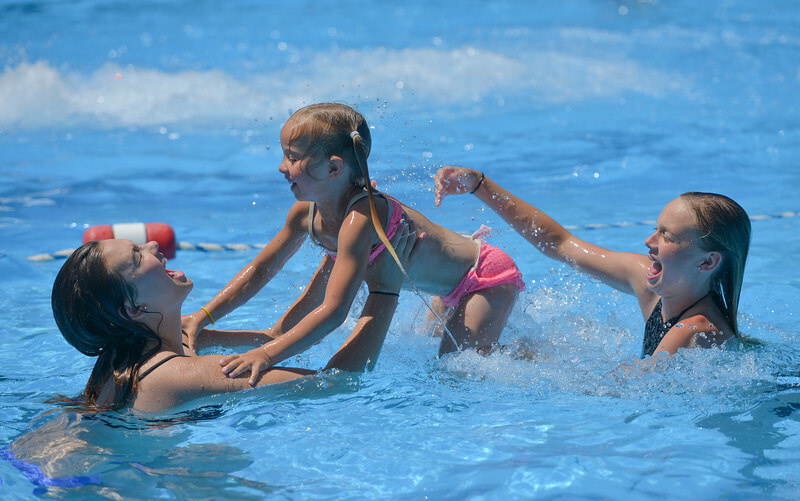 Sixteen-year-old Bailey Aksamit, left, catches Sierra Tracy, 6, from Bree Aksamit, 13, as they play in the water Wednesday at Kendrick Pool. 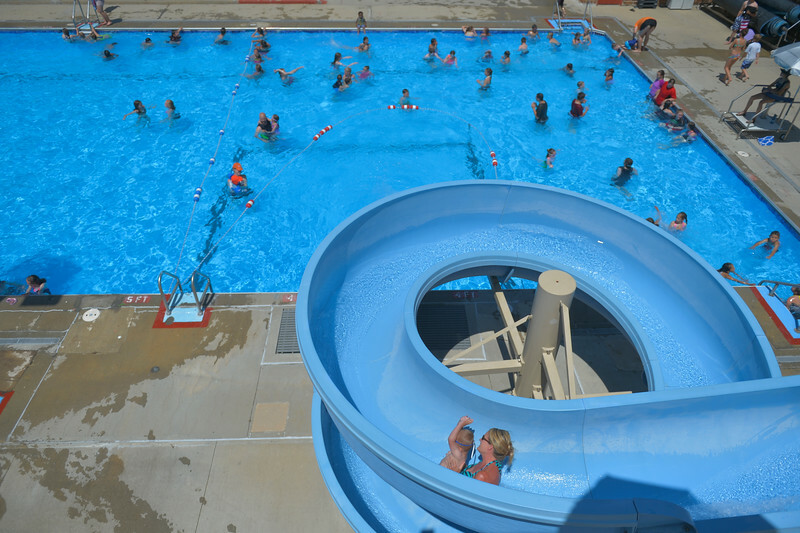 The pool is open 1 - 7 p.m. daily, Sunday admission is only $1. The pool closes for the season August 26. People enjoy the cool water Wednesday at Kendrick Pool. The pool is open 1 - 7 p.m. daily, Sunday admission is only $1. The pool closes for the season August 26. 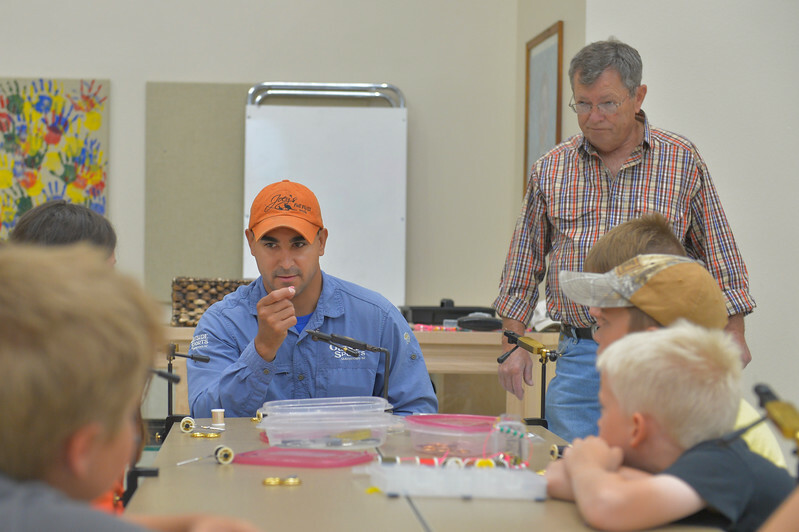 Joey Puettman demonstrates how to make a sowbug fly bait during the Lifetime Activities Camp Thursday at Tongue River Elementary in Ranchester. Joey’s Foundation lead fly tying and fly fishing workshops as part of the activity camp offered through the Tongue River Valley Community Center. 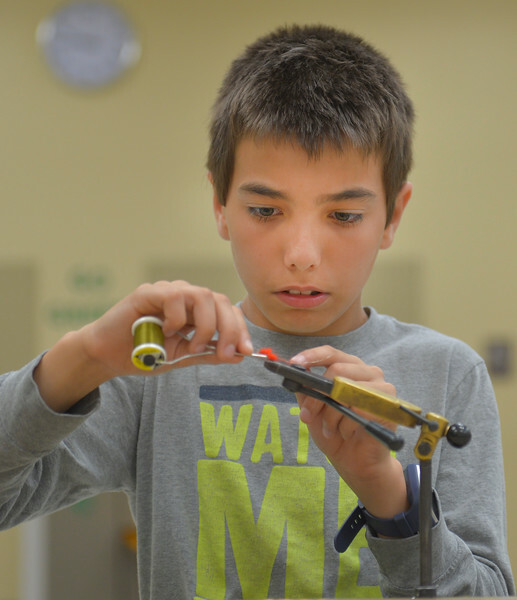 Carter Anderson ties a sowbug fly bait during the Lifetime Activities Camp Thursday at Tongue River Elementary in Ranchester. Joey’s Foundation lead fly tying and fly fishing workshops as part of the activity camp offered through the Tongue River Valley Community Center. 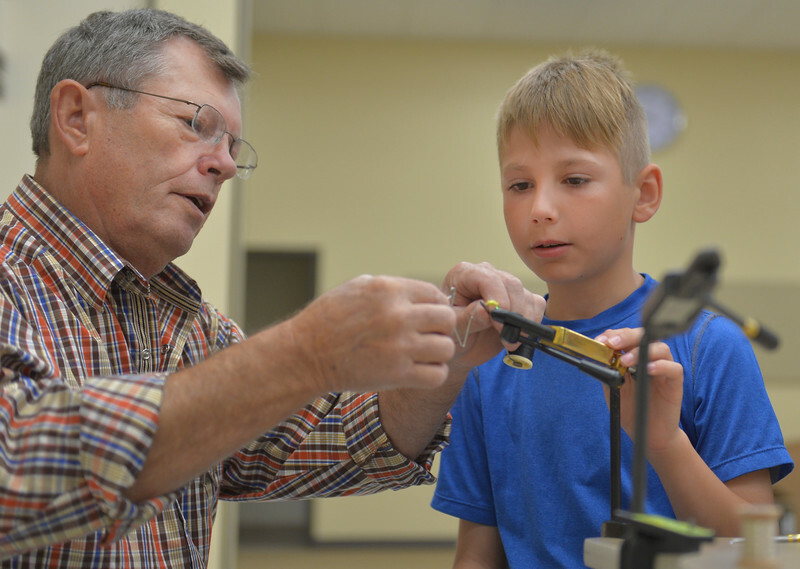 Volunteer Paul James helps Caden Anderson tie a sowbug fly bait during the Lifetime Activities Camp Thursday at Tongue River Elementary in Ranchester. Joey’s Foundation lead fly tying and fly fishing workshops as part of the activity camp offered through the Tongue River Valley Community Center. 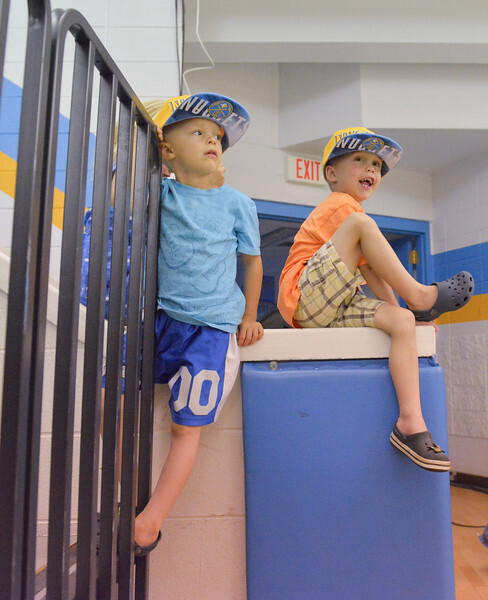 Four-year-old twin brothers Eli and Abe Marshall play on the stairs during the Wyoming vs Montana All-Star Game Friday at the Golden Dome. 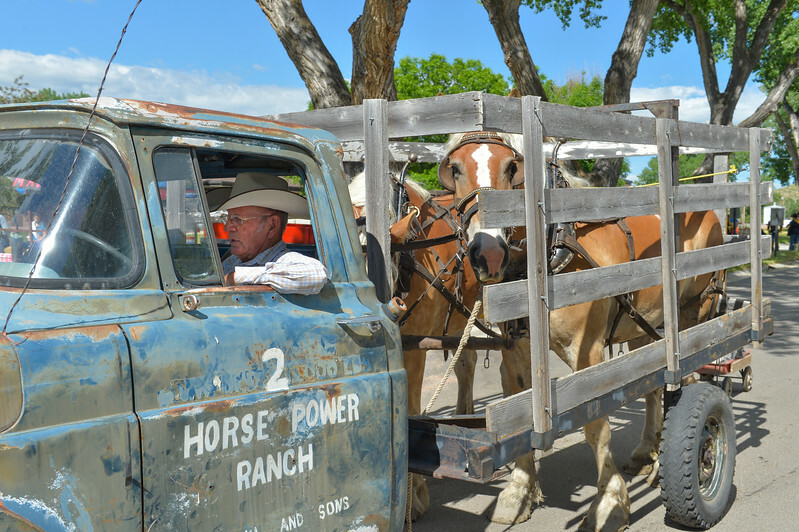 Dave Harrington drives a two-horse powered truck prior to the parade during the 125 year anniversary celebration of the town of Clearmont Saturday. The town was founded in 1892 as the railroad was established through the Clear Creek Valley. The town reached its peak in the 1950s with a population of 225. 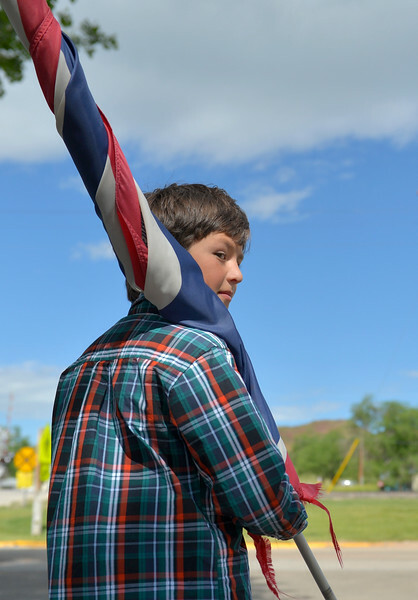 Logan Mediate holds the national flag prior to the parade during the 125 year anniversary celebration of the town of Clearmont Saturday. The town was founded in 1892 as the railroad was established through the Clear Creek Valley. The town reached its peak in the 1950s with a population of 225. 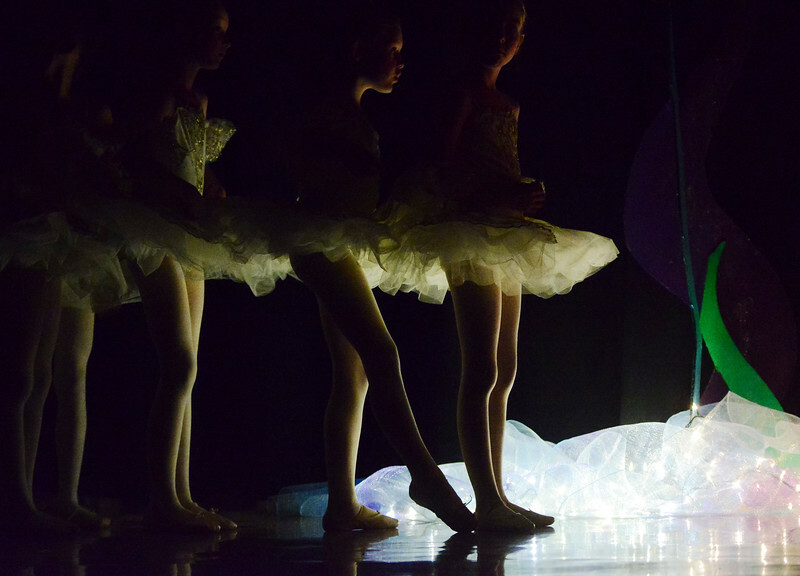 Dance students find their way onto a dark stage to find their marks during a dress rehearsal Saturday for the dance recital by Pieknik’s School of Dance at the Sheridan Junior High School Early Auditorium. Performance is this Friday at 6 p.m. at the Early Building. Tickets are $10 and may be purchased online: http://www.recitalticketing.com/25402. 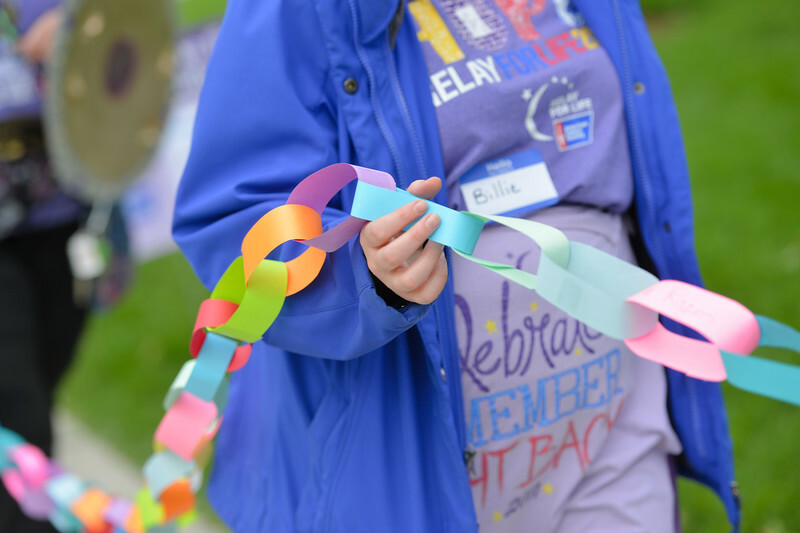 Survivors gather and hold the paper chain representing total years living with cancer during the annual Relay for Life event Saturday at Whitney Commons Park. 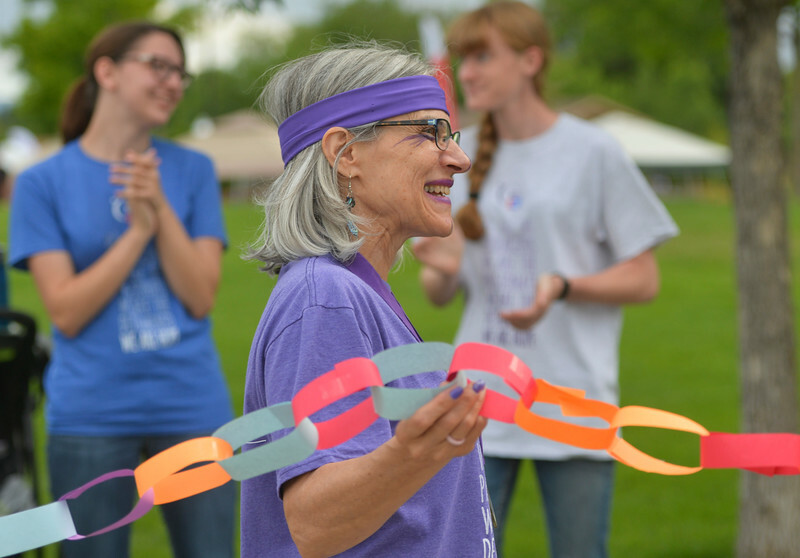 Survivors hold the paper chain representing total years living with cancer during the annual Relay for Life event Saturday at Whitney Commons Park. 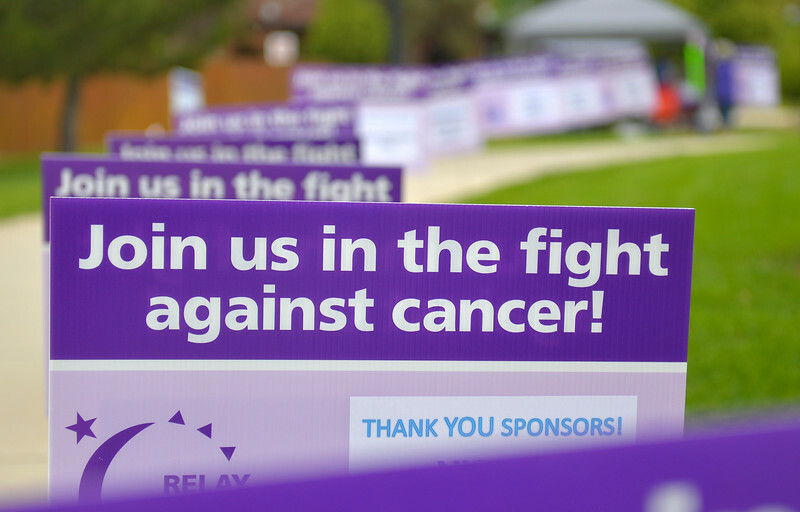 Several signs line the pathway during the annual Relay for Life event Saturday at Whitney Commons Park. 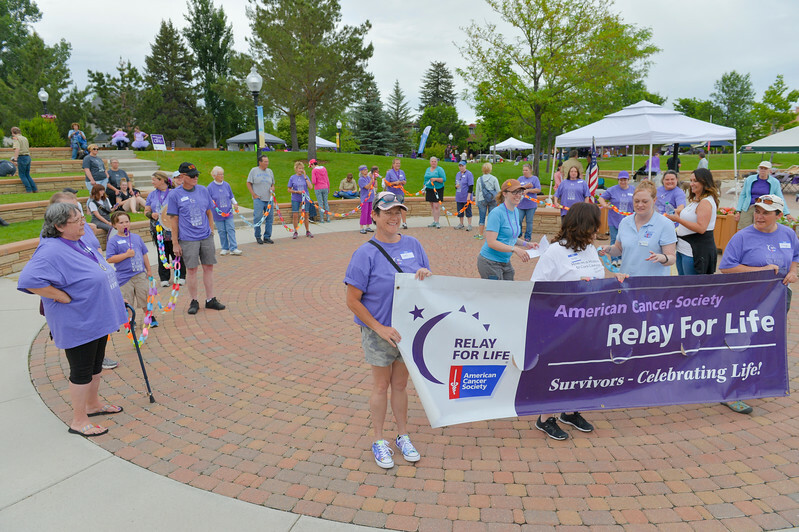 Six-year survivor Michelle LaGory walks the survivors’ lap during the annual Relay for Life event Saturday at Whitney Commons Park. 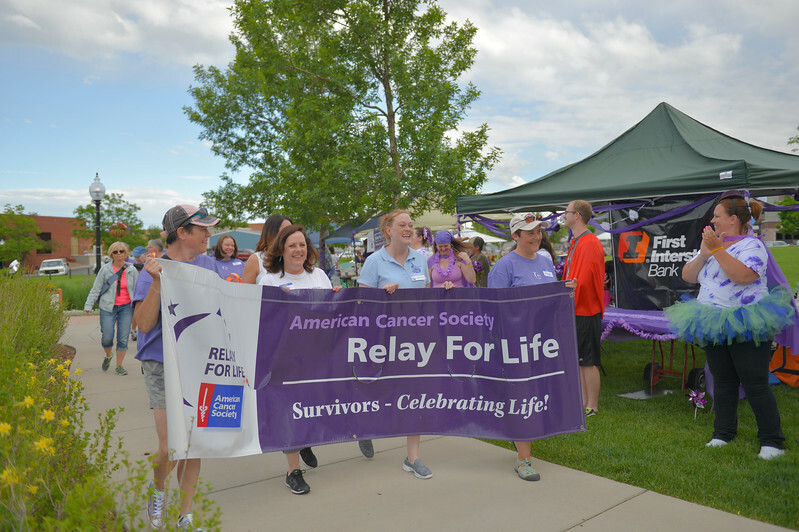 Cancer survivors walk their laps during the annual Relay for Life event Saturday at Whitney Commons Park.